I got quickly addicted to this new release by Acritarch, before the archaeological ministry of my memory could excavate the recognition of who was behind it. Fortunately, Rennie of starkweather, whose mind is so much more agile than my own, knew who it was immediately, and told me. No wonder the album is so damned good. The architect of Acritarch is Brooke Johnson, who is a fixture in The Axis of Perdition, whose fantastic music I happily discovered in 2011 through my friend Andy‘s 11th SYNN REPORT, which arrived around the same time as the band’s last album (so far). As a sign of just how long ago that was, Andy is now up to installment No. 107 of those Reports. 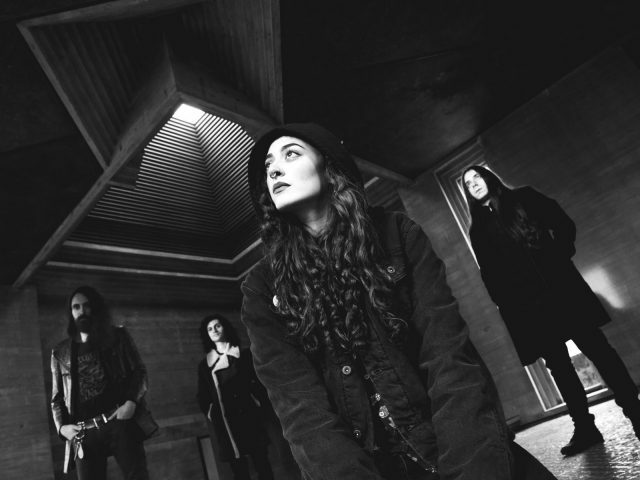 Johnson is also involved in other projects, including the doom/death metal band Hesper Payne, whose most recent release was this potent 2016 single (the precursor to a new album, which hasn’t yet materialized). 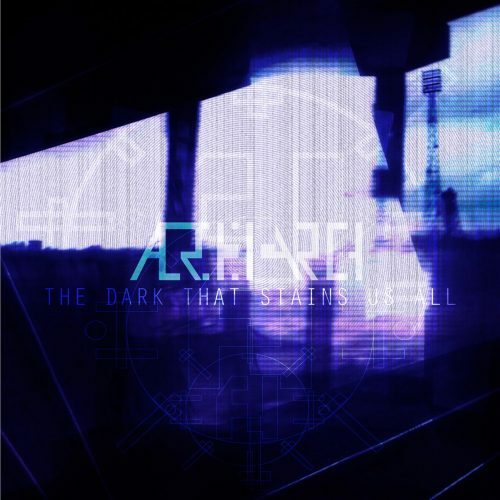 The Dark That Stains Us All, which surfaced via Bandcamp on March 27th, is the third Acritarch album, but only the first one I can remember really sinking my teeth into. In some ways it was like opening a time capsule, bringing back memories of Fear Factory, Strapping Young Lad, and Red Harvest (in their later phases) — in other words, good memories. But I don’t mean to suggest that the album’s appeal is limited to the nostalgia it inspires. There are golden riffs galore within these 8 tracks, and driving industrialized rhythms that rapidly quicken the pulse, as well as a layering of keyboard ambience (and weird electronic emissions) that enhance the otherworldly atmosphere of the music. The unstoppable, bone-smashing grooves in the songs and the fiendishly infectious quality of the riffs and leads accounts for much of its magnetic appeal, but Johnson‘s vocals are also an electrifying ingredient, ranging from throaty bellows to demonic snarls and soaring melodic wails. 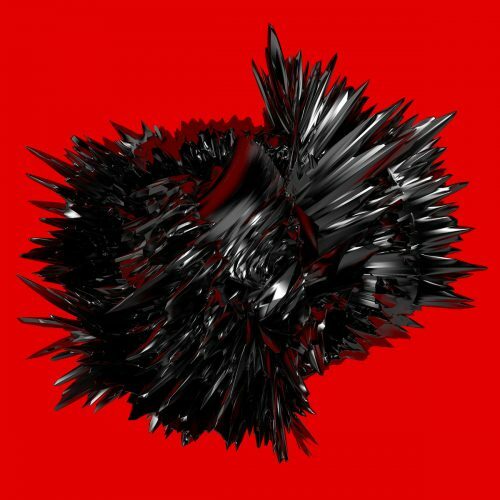 For those of you who may find industrial metal too cold and sterile for your tastes, The Dark That Stains Us All is downright vicious, and explosively vibrant. And when it’s not explosive but is instead pitch-black and crushing (see especially the title track and the closing song), it’s scary as hell. There’s feral power in the music, but it freezes the blood as often as it heats it. It becomes deranged, hallucinatory, and hopeless. And it even becomes grievously grand and glorious (check out “Enemy” for a prime example of that). Which is to say that where there’s a lot of “same-iness” across the length of many industrial metal albums, this one is variable, and far from monotonous. P.S. In case you’re wondering whether there’s any meaning in Acritarch‘s name, there is indeed. The name is a conjunction of two Greek words coined in 1965 to describe a type of enigmatic micro-fossil which became abundant around 1.4 billion years ago. You can learn more about acritarchs here. P.P.S. Per a January 2019 status on the Facebook page of The Axis of Perdition, they “have re-congealed and are positively gravid with horrible new material”, though in this new configuration they will be operating as “An Axis of Perdition“. Based on the band’s previous musical creations, this qualifies as excellent yet terrifying news. 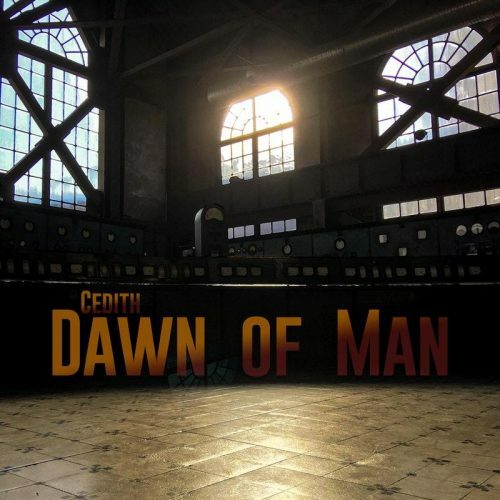 Cedith is a Turkish quartet who digitally released their first album, Dawn of Man, on March 23rd. It was a completely DIY effort, performed and recorded in their homes. The song below, “Finally At Ease“, is all I’ve heard from it so far. More in the vein of instrumental progressive rock than metal, it’s not nearly as extreme as my usual fare, but it has gotten its hooks in my head. The bursts of abrasive, discordant sound in the song’s beginning provide a hint that the track isn’t going to be all sweetness and light — though when the drum-and-bass rhythm kicks in, and the crystalline guitars take over, it does shine. As time passes, however, the mood of the music becomes darker, heavier, and more harrowing. The guitar becomes a squalling, tension-building device, and the notes scatter in a kind of delirium. Without breaking that darker mood, the band segue into an exotic melody, and then settle into a softer, dreamlike finale that creates a mesmerizing and soulfully bluesy effect. I’ve written many times over the years about the punishment, the dysphoria, and the derangement meted out by the Scottish band Frontierer. Until last week, their most recent release was a 2018 full-length named Unloved, which I characterized (in part) as “blindingly intense music that shoves you off balance and leaves you mentally and physically bruised, feeling bewildered and hopeless — but hyped”. And last week they released (through a video) a new bonus track that appears on a new vinyl re-press of Unloved, though it was recorded after completion of that album. “The Molten Larva” is the name of the song, which is also now available on the digital version of Unloved. It includes guest appearances by Employed to Serve’s Justine Jones and guitarist Sammy Urwin. It is absolutely pulverizing, pounding so damned hard that you’ll probably lose an inch of height just listening to it. It will also bend your neck to its will as it fractures your cranium, and probably burn out some of your brain cells with its discordant shrieking tones and the completely unhinged vocals. The video, filmed by Jens Haerssens and Nick Neuenhaus at some of the band’s live shows, and edited by Frontierer’s Pedram Valiani, is about as good a match for the music as one could want. 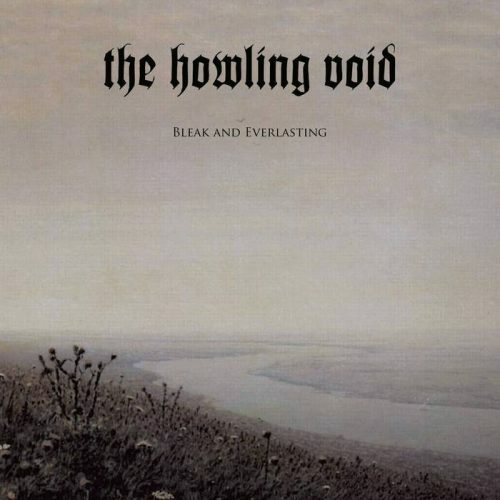 We have followed The Howling Void very closely for many years. It hasn’t been like following someone on a sidewalk, striding along a straight line. More like being in a dense forest and “Where the hell did he go?!? He was right in front of me a second ago!” Well, that may be an exaggeration. Nevertheless, this band does seem to follow a muse shaped like a fox, and this time the fox has flashed off in an unanticipated direction, as fleeing foxes are want to do. The titanic cragginess of the slow chord thunder, the abyssal abrasion of the growled vocals, and the shimmering ache and reverential magnificence of the organ melodies make for an entrancing though blood-freezing combination in this song, as if capturing both the abyss below and the stars glimmering in the cold void above. To mix my metaphors, the grave beckons in this music, and phantasms sing their siren song, longing to smother you in their embrace, and join your own tears to theirs. As you may have noticed, I have obsessive-compulsive tendencies. Fortunately, they’re moderate enough most of the time to prove useful rather than debilitating. Among other signs, I keep many lists. Oddly, I haven’t started keeping lists of “best music videos”. Now that I’m thinking of it, I will probably begin. Some music videos are wonderful on a stand-alone basis, even when they don’t have any particularly intimate connection with the music, and even when the music itself is only a hair’s breadth above average. Other videos seem to be so closely aligned with the music that it’s hard to imagine the one without the other, as if one creator was working in harness with the other from the inception, feeling the same thing, breathing the same air, even if that’s not what actually happened. When the music is as wonderful as the filmmaking, then you’re in rarefied air indeed. And that’s what we have here. The music is a medley of two successive tracks — “She Knows” and “Tulsi” — from an album named Feast For Water released last year (via Aural Music) by the Italian band Messa. The video, directed by Laura Sans, was filmed in Venice, at night. It premiered late last week at CVLT Nation. Over the 12 minutes that these two songs collectively consume, the music and the vocals change dramatically, and accordingly, so do the visuals. At first, the sound is soft, quavering and wavering — but interrupted by bursts of crushing, wailing, agonized extremity. Later, it becomes hallucinatory — but interrupted by eruptions of volcanic violence and neck-ruining stomps. Later still, it becomes a soulful flowing river that features beautiful blues guitar and seductively smoky saxophone. And the video… well, see for yourself. Messa has become one of my favorite bands.